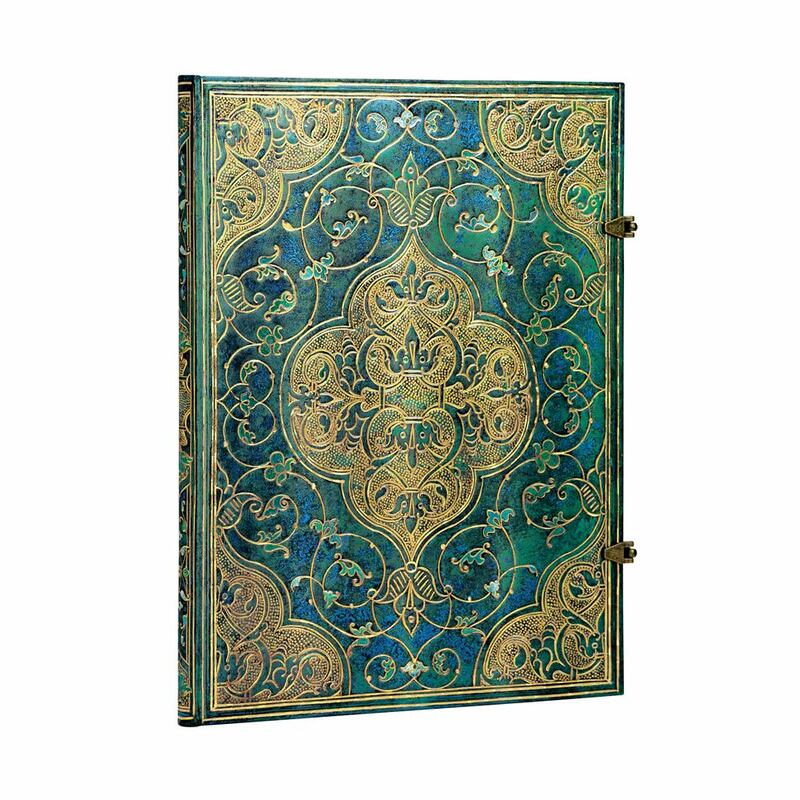 Paperblanks Turquoise Chronicles Notebooks are based on a 1514 book binding by Salel Binder in Paris. 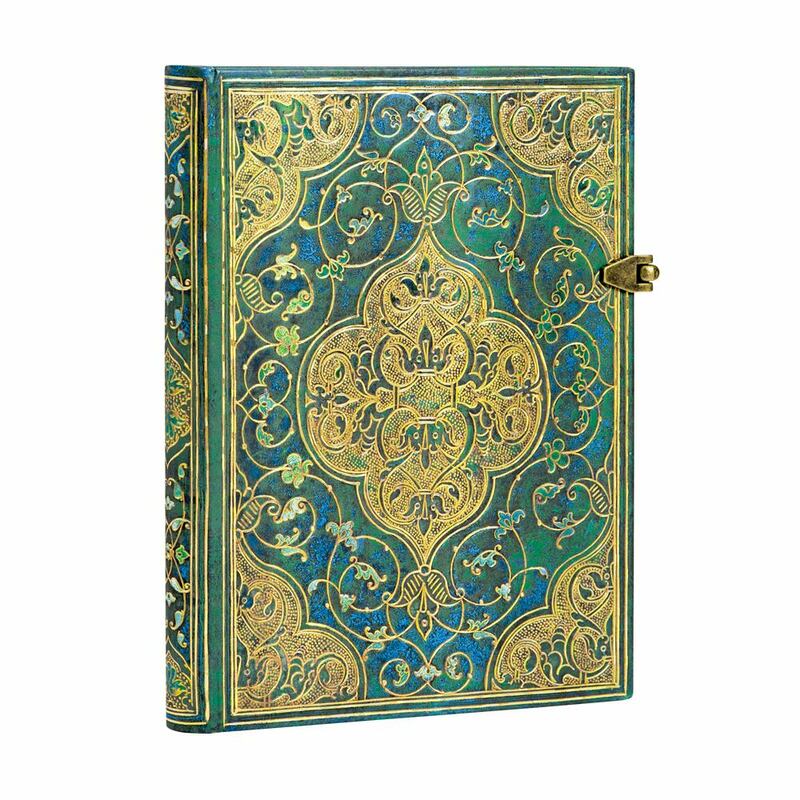 The book Chroniques lend its cover full of renaissance decoration to this series of Paperblanks Notebooks. 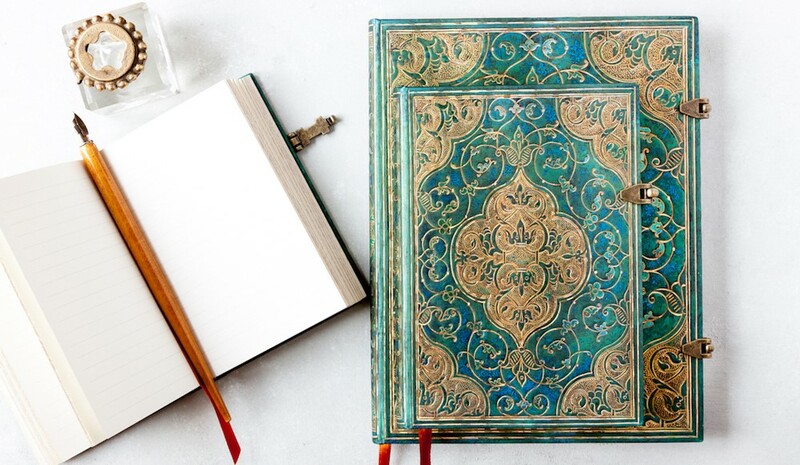 Part of the British Library's Davis Collection. 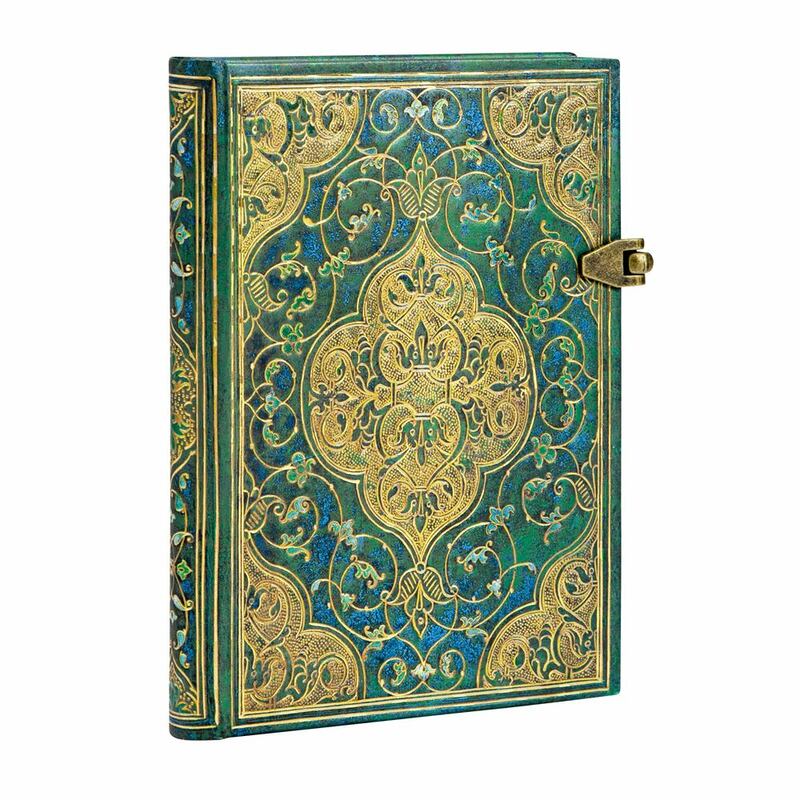 Indulge in sumptuous Parisian notebooks with rich greens and aqua, book edge printing and period inspired brass clasps. 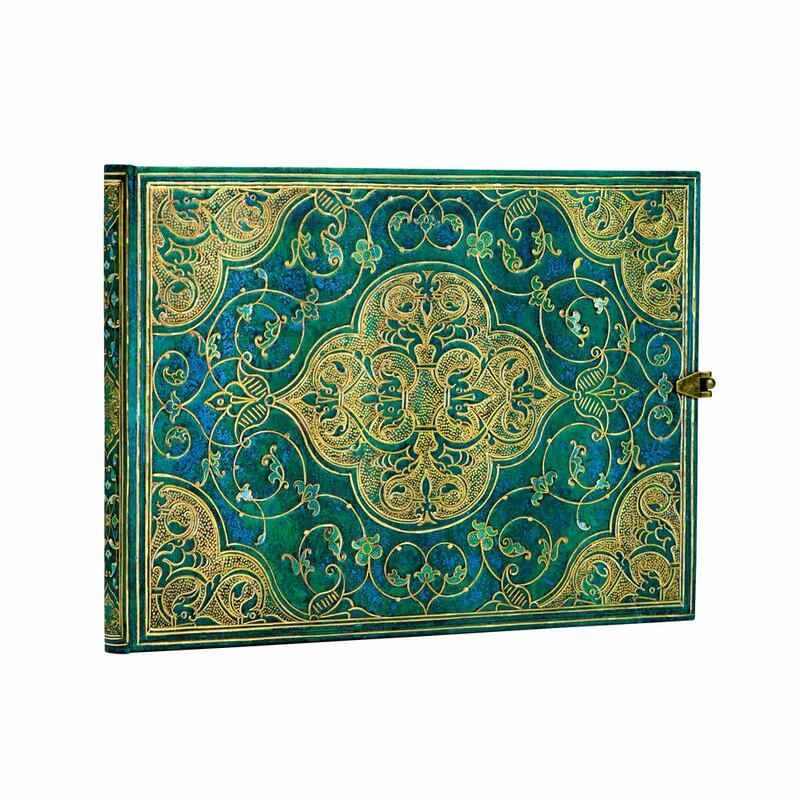 Paperblanks Turquoise Chronicle Notebooks are available in four sizes and a landscape format guest book. 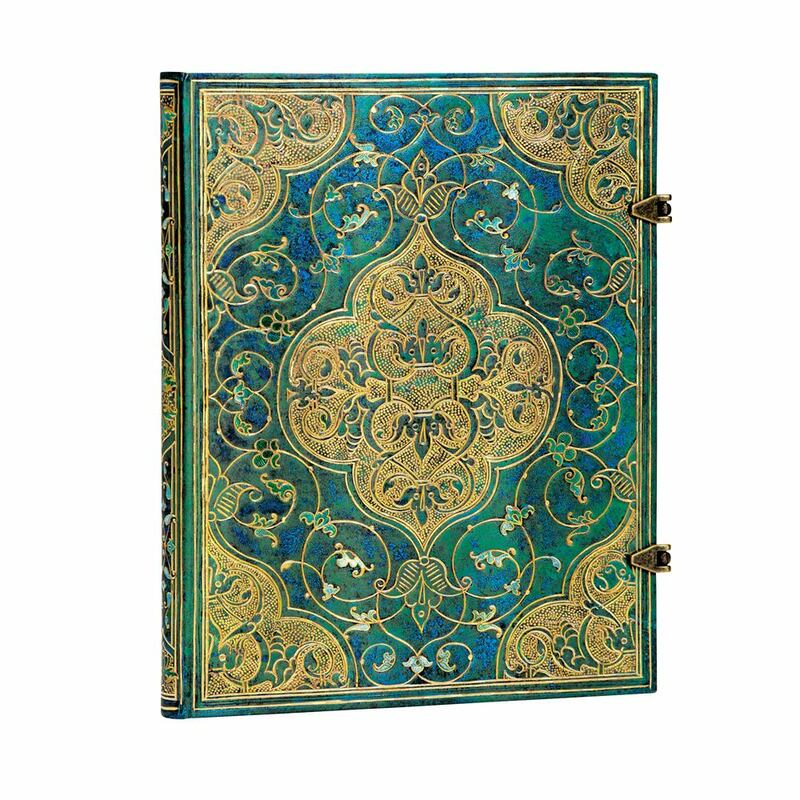 Paperblanks Grande Turquoise Chronicles 8.25" x 11.75"
Paperblanks Ultra Turquoise Chronicles 7" x 9"
Paperblanks Guestbook: Turquoise Chronicles 9" x 7"